The 2013 Subaru Forester is at its most honest in the simple versions, and the base model with a five-speed manual is the best value. If you want a fully-loaded model, consider the larger and (relatively) more luxurious and refined Subaru Outback. The rugged 2013 Subaru Forester handles well and copes confidently with any weather and road surface--and the XT turbo models are sporty--but its economy-car interior and sluggish automatic remain drawbacks. Now in its fifth year of production, the 2013 Subaru Forester is the only compact crossover utility with standard all-wheel drive. The sturdy and rugged but easy-to-use wagon is built on sedan underpinnings and offers a remarkably roomy interior, the handing of a passenger car, good ground clearance, and compact exterior dimensions that make it easy to park in even the smallest of spaces. 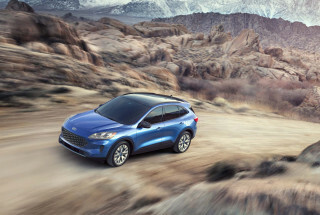 It's virtually the ideal balance for small families in the Snow Belt and other locations that place a premium on the safety and capability of all-wheel drive. 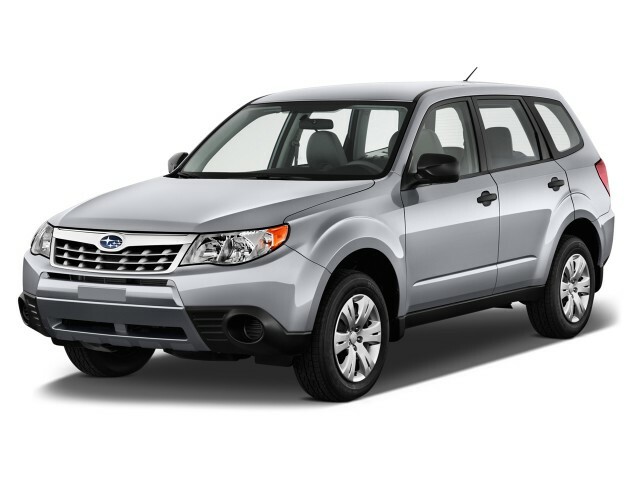 First introduced for the 2009 model year, the Subaru Forester hasn't changed much since then. You might think of it as today's equivalent to the boxy Volvo 240 wagon--with its tall glass, boxy lines, practical utility, and reputation for remarkable durability. The simple, plain interior is unabashedly utilitarian, but its more outdoorsy, sporting users treasure the easy-wipe surfaces, rugged fabrics, and tough plastic surfaces. Subarus in ads often have skis, kayaks, or canoes on their roof racks, and that mirrors reality in many parts of the country--and even suburban families whose sport is soccer reap the rewards. In 2011, the Forester received a new flat-four base engine that's more efficient but produces the same power as the previous engine. Performance is responsive if you opt for the standard five-speed gearbox, but the aging four-speed automatic has ratios so wide that they significantly slow down that model. There's also a turbocharged XT model with roughly 50 percent more horsepower; they're undeniably quicker, but still handicapped by the four-speed auto. Handling is one of Subaru's significant strengths, although with the advent of the Mazda CX-5 and the Ford Escape, it has significant competition for the title of best-balanced crossover. But it remains confident, stable, and predictable on twisty roads, tight corners, and uneven surfaces. And the flat-four engine keeps the weight low, so it's far from tippy despite the substantial 8.9 inches of ground clearance that make it the perfect car for camping, gravel tracks, and unplowed snowy roads. The Subaru Forester has more space inside than you might imagine. The front seats, while flat and short, are at a convenient height, and if you need to, you can fit three adults across the rear. Both driver and front passenger seats are now height-adjustable. The load floor is low, and the back seat folds flat, giving easier loading through the tailgate and the side doors. The ride is good and rarely harsh, but noise suppression isn't the best in class, and on some surfaces, there's quite a lot of road noise. As one of the older entries in the segment, the Forester isn't top of the list in every safety test. The NHTSA gave it only three stars for side impact, for example, But it remains an IIHS Top Safety Pick, and its all-wheel drive system and stability control give it a surefooted feel on the wettest and snowiest roads--a safety benefit that can't necessarily be measured in crash testing. The four trim levels are base, Premium, Limited, and Touring, though the turbocharged XT models come only in Premium and Touring. The top-of-the-line Touring models include HID headlamps, dual-zone climate control, rear seat backs that fold in a single touch, bright roof rails, and electroluminescent instruments. The Forester's audio systems were upgraded in 2011, adding an auxiliary jack and USB port, Bluetooth pairing for hands-free control, audio streaming, integrated iPod control, and Sirius XM satellite radio. The navigation system on Limited and Touring models brings with it a 6.1-inch touchscreen display, with voice control and functions like text messaging and iTunes tagging. Buyers of the All Weather Package can opt for a lower-cost TomTom navigation system, whose portable screen detaches from its base and can be carried out of the car. The 2013 Subaru Forester is a classic, upright, practical compact crossover design, without the aggression of others in the class. In its fifth and final year, the 2013 Subaru Forester remains a handsome, nicely proportioned, and sensibly styled crossover, to some. Absent the swoopy accents and flaring lines of some of the competition, the Forester looks like what a compact crossover did a decade ago: upright, sturdy, and capable without being overbearing. The tall windows and square corners give the most interior volume in the least road space, and it sits exactly between "tall wagon" models and tougher, truck-like sport utilities. Despite its almost 9 inches of ground clearance, the Forester isn't awkwardly tall or overly aggressive looking--as are a few of its competitors. And its distinctive front end is a familiar site in the Subaru-heavy precincts in mountain towns, snowy regions, and much of New England and the Pacific Northwest. Inside, the dash design swoops gently down to a center console, a restrained version of the style pioneered several years ago by the large Subaru Tribeca crossover. The top dash surface flows into the doors, but the central controls and stack stand upright before they connect to the console. Many of the surfaces are quite plain, whether in dark textured plastic or flat silver trim, but it's a practical scheme that lends itself to tough use and easy cleaning. The Forester's interior should handle kids, sports equipment, cats and dogs, muddy camping gear, small boats, and anything else you can throw at it--no matter where you choose to take the car. The 2013 Subaru Forester is let down by its four-speed automatic, but offers some of the best roadholding and most confident traction in the class. The 2013 Subaru Forester is powered by a 170-horsepower 2.5-liter flat-four engine that is only Subaru's third new engine in several decades. It's designed to be more fuel-efficient and require less maintenance than its predecessor, while providing the same power. It delivers good acceleration with the five-speed manual gearbox, but the aging four-speed automatic lets it down, with gear ratios so wide that acceleration is notably compromised. If you want more power, the pricier 2.5XT model delivers 224 horsepower and 226 lb-ft of torque from the same size engine, courtesy of a turbocharger. This model of Forester is considerably quicker, but can only be ordered with the mediocre four-speed automatic transmission. Again, the widely spaced ratios--plus some degree of turbo lag--handicaps its overall progress. We rather suspect that next year's Forester will switch over to Subaru's Lineartronic continuously variable transmission (CVT), which delivers fuel efficiency in other models that's considerably higher than the supplanted automatic. The plain exterior lines belie the Subaru's secret strength, which is its roadholding and handling. All Subarus, despite their high ground clearance, have a low center of gravity due to the flat-four engine configuration. 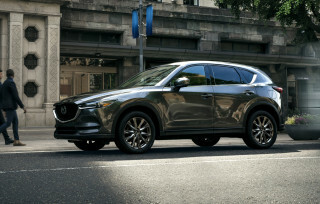 That makes it one of the best-balanced crossovers in the compact segment, and one of the most rewarding to drive--though the new Mazda CX-5 will give the Forester a run for its money this year. The Forester handles more like a sport sedan than a tall crossover, and its low seating position reinforces the sedan feel. The symmetric all-wheel-drive system delivers substantial grip coming out of corners, not to mention surefootedness in deep snow and along muddy and rocky trails. 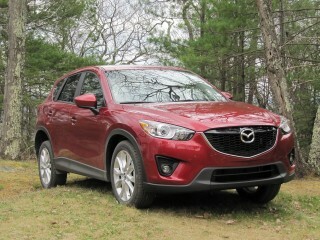 And the car's mountain-goat genes are assisted by its 8.9 inches of ground clearance. The 2013 Subaru Forester is comfortable to ride in, but its interior materials and noise suppression are now below average. The 2013 Subaru Forester has far more space inside than most people will appreciate just looking at it from the outside. Its seats are well-placed and not too high, the cargo floor is low and flat, and it holds not only four full-sized adults--or, in a pinch, five--but a remarkable amount of their gear. The tailgate opens wide and high, making loading easy, and the rear seats fold down easily, with one-touch folding an available option. Some reviewers find the front seats not to their liking, calling them both short and flat, especially for taller, longer-limbed drivers. Road trips in a 2013 Forester are comfortable and fairly refined, though it's far from the quietest crossover in the class. The ride is surprisingly supple and well-damped, but road noise intrudes and wind roar around the door mirrors continues to challenge Subaru's engineers. Befitting its utilitarian character, the mirrors themselves are large, well-located, and very usable--but they're noisy as a result. As one of the older cars in the class, the Forester's interior plastics show its age. While they look good, and are undoubtedly practical and easy to clean, there is little soft-touch plastic and there are large swathes of very plain gray textured or silver flat plastic. Many Subaru owners will prize practicality over style and feel-good materials, but the standards among compact crossovers are rising fast, and other competitors simply have nicer, more stylish, more pleasing interiors. The 2013 Subaru Forester gets mixed safety ratings, though its all-wheel drive and excellent on-road behavior are mitigrating factors. Standard safety features on the 2013 Subaru Forester include the usual stability and traction control and anti-lock brakes, along with a tire-pressure monitoring system, and six airbags. The Forester scores very well in outward visibility, which is excellent, with its low beltline and large glass area giving superb rear three-quarter and rear vision. Because it's harder and harder to say that of crossovers, with the latest styling trends featuring rising window lines and enormously thick roof pillars, we complement Subaru on getting the basics of driving safety right. The 2013 Subaru Forester has been hurt by the age of its design in safety ratings. When the model was redesigned for 2009, it topped the safety test results, but new and much tougher Federal crash tests have taken their toll. The Insurance Institute for Highway Safety (IIHS) still gives the 2013 Forester a rating of "Good" (its highest) for frontal, side, and rear impact tests, and it also scores a "Good" on the new IIHS roof strength test. However, the National Highway Traffic Safety Administration busted the Forester down substantially from its earlier years' ratings. It gets only three stars out of five for its side impact crash performance--and a low two stars on its side pole test. That test, recently added to the testing protocols, isn't yet factored into the NHTSA's overall score. It did get four stars on front crash performance, and four stars overall. 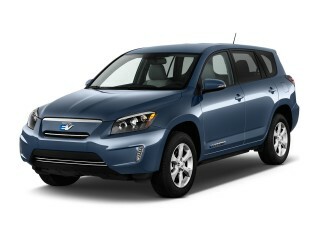 The 2013 Subaru Forester offers the best value in its AWD base version, but the Premium version is the big seller. With a base price of around $21,000 for the entry-level 2.5X model, the 2013 Subaru Forester offers very good value for the money when you consider that every Forester (and just about every Subaru) comes standard with all-wheel drive. The base 2.5X also includes power windows and locks, a tilt-adjustable steering column, cruise control, automatic headlights, and keyless entry. 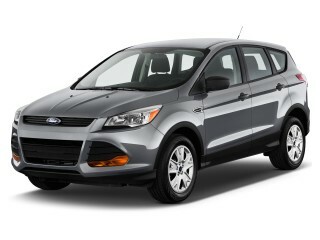 The 2.5X model, which denotes the base 170-hp engine, comes in four trim levels: base, Premium, Limited, and Touring. The five-speed manual gearbox only comes with that engine; if you step up to the more powerful 2.5XT turbo engine, you get the four-speed automatic. 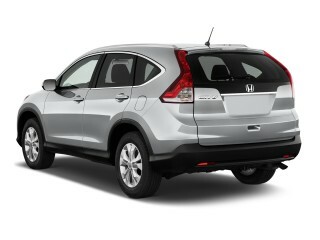 The turbocharged 2.5XT comes only in Premium and Touring models. For 2013, Subaru has slightly tweaked some of its features and options. All models, even the base 2.5X, now offer a six-speaker audio system with Bluetooth hands-free connectivity for mobile phones and audio streaming, along with a USB jack and iPod control capability. It also now has Bluetooth and audio controls built into the steering wheel. Also for 2013, the 2.5X Premium trim level now offers an optional Value Package that combined the popular All-Weather package (heated front seats and exterior mirrors. plus a wiper de-icer) with fog lights and a display-type audio system. 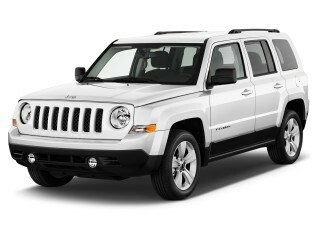 Among other features, the Premium level adds a panoramic sunroof and 17-inch alloy wheels. Above that, Limited model bundles in upgrades for all six speakers, HD Radio, and a backup camera with a 4.3-inch display in the dash. The top-of-the-line Touring models feature chromed roof rails, High-Intensity Discharge (HID) headlamps, plus dual-zone climate control,instruments with electroluminescent displays, and a single-touch folding seatback for the rear seat. Fully decked out, though, the 2.5XT Touring model--which starts at around $30,000 with delivery--can climb toward $35,000, at which price it may be worth considering the larger and more refined Outback mid-size crossover model. Sensibly, Subaru has bowed to the realities of the fast-changing in-car navigation market. It now offers a $595 TomTom portable navigation system that can be removed from the car. This option has to be ordered together with the All-Weather Package. There remains a more traditional in-dash touch-screen navigation system, with a larger 7-inch display, at the more traditional price of $1,800. For an all-wheel drive car, the 2013 Subaru Forester is no more than average on fuel efficiency. 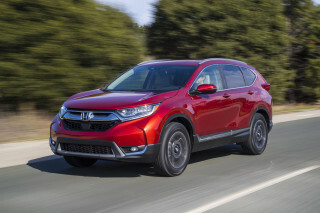 Fuel efficiency is one of the hottest and most competitive areas in the compact crossover segment, with the all-new Honda CR-V and the Ford Escape both touting gas-mileage ratings far higher than earlier models of the same cars. 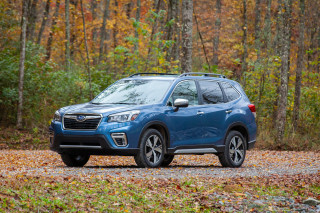 While the Subaru Forester is just 1 or 2 mpg down on most of its rivals' all-wheel-drive versions, it may get left behind in the ceaseless march toward higher gas mileage. The 2013 Subaru Forester gets an EPA combined rating of 23 mpg (21 mpg city, 27 mpg highway) for the five-speed manual transmission, less for the probably more popular four-speed automatic, at 21 mpg combined (19 mpg city, 24 mpg highway). That puts the Forester at a disadvantage against such vehicles as the Ford Escape and even the new Ford C-Max. During a recent Ford C-Max Hybrid "escape test," we averaged about 23 mpg overall--right in the middle of the predicted ratings.